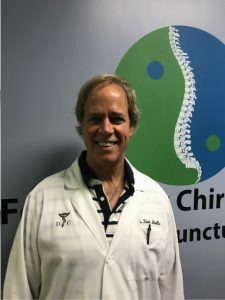 Dr. Reed Moeller has been providing health and well-being with natural healing at Forest Park Chiropractic and acupuncture for nearly 30 years. The past 4 years, Cincinnati magazine has awarded him as one of the top chiropractors in the city voted by his peers. In addition to successfully treating thousands of patients, Dr. Moeller is a Wellness Speaker of America providing health talks to large companies and social groups around town. What separates Dr. Moeller from other chiropractic physicians is his constant striving to learn and improve. Currently, he is working on a functional neurology degree to treat serious brain disorders. He studied pharmacy at Ohio Northern University, then chiropractic, acupuncture, and now functional neurology. His office has state-of-the-art equipment and the newest technology. In addition to the Chiropractic and acupuncture, they do nutrition, physiotherapy, trigger point and myofascial release, sitting and laying down spinal decompression, PEMF and light therapy, and brain tap which cause comes the stressed-out mind. Why have back surgery and live on harmful dangerous pain medication when you can heal the condition naturally? I was raised in a Christian family, and my dad still does the readings for his church. I feel my work was a calling from God. I was in my last year of pharmacy school when I injured my back. I went the medical route with drugs, epidural shots and PT, but when they wanted to do surgery, I tried chiropractic. I healed quickly, and it changed my life. Being a Christian affects everything in my life. I live through Him and pray He works through me to heal my patients. I pray each day that my patients feel His presence every time I place my hands on them. He blessed me to be in a profession that helps improve people’s lives. Having the values of a Christian means unconditional love and support for my patients. Honesty, integrity, and compassion are cornerstones of my care. I am involved with in Chiro Mission which is a group of chiropractors that go to poor countries and provide health care to the needy. Last year, we went to the Dominican Republic and I personally treated over 500 patients a day for 3 days. It was an incredible experience seeing these people’s faces light up with joy after an adjustment. One interesting thing many people don’t know is my Pharmacy background. I went from being a drug specialist to a drug-free healer. I love the Christian Blue Pages because Christians are my kind of people. They make ideal patients because they are honest kind considerate loving people. They make my work enjoyable, and who better would you want to treat? I am trying to get your office on my insurance Anthem and have reached out to them to call your office. I do not trust all Chiropractors and I like what I have read about Dr. Moeller. Thank you Sharon for recommending me to your insurance company. We try to get in as many plans as possible but some are closed. It is hard to understand since I have never had any issues against me in 30 years of practice. Maybe they don’t like to include the doctors that have a real busy office. There will still be out of network benefits and we have affordable cash packages.